Shelly has been in the retirement industry since 1995. 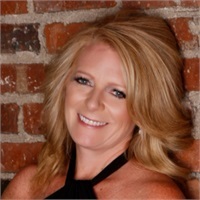 She initially began working in the employee benefits field for PNC, formerly National City Bank, and then for the last 15 years with Actuarial Consulting Group, Inc. Shelly has taken the ASPPA exams to earn the Qualified 401(k) Administrator (QKA) designation along with Enrolled Retirement Plan Agent (ERPA) designation. Shelly joined our Peoria location in 2018 as Office Manager and Bill King’s Executive Assistant. She also lends assistance to all of the advisors in the Peoria office while providing excellent customer service to our clients. Shelly grew up in Morton, IL where she currently resides. She has two sons, Bradyn who attends Iowa State and Conner who currently attends Illinois Central College along with the family black lab. In her spare time Shelly enjoys boating, motorcycle rides and time spent with her boyfriend and her great group of girlfriends. She is also an avid St. Louis Cardinals fan and Denver Broncos fan.